Oh, about two years ago, I bought a set of sheets at Target for our guest room, well before we even started construction on it, knowing that they would be the coziest addition for an autumn-infused space. 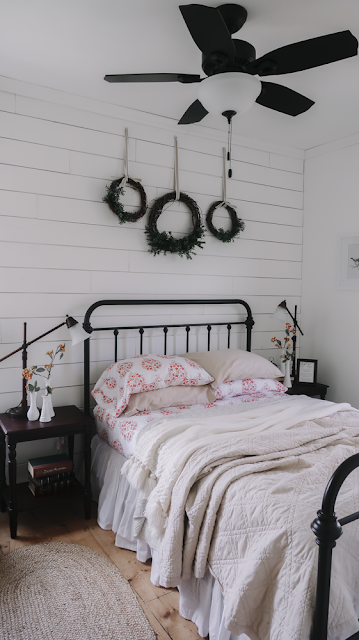 We've been having some guests stay with us recently, and with the chilly weather setting in, and lots of apple breads and crisps baking downstairs, it was time to get this room ready for fall. So many people have told us that September is the best time to visit the Cape because all the vacationers have left, and the towns have a semblance of everyday life once again. Since we visited the Canadian Maritimes in July (which you can read about here, here & here), we decided this would be the year we experienced the Cape after peak season had ended. 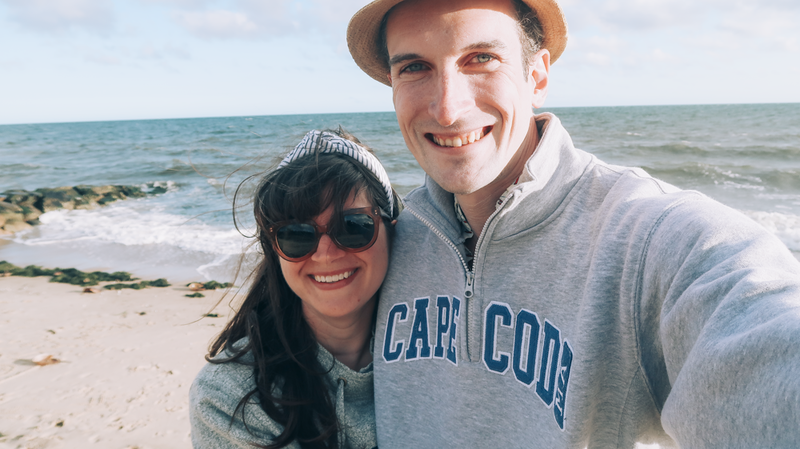 We've only ever done Nantucket as a day trip, so while we've explored the island quite a few times, it's been high on my list to spend a weekend there. 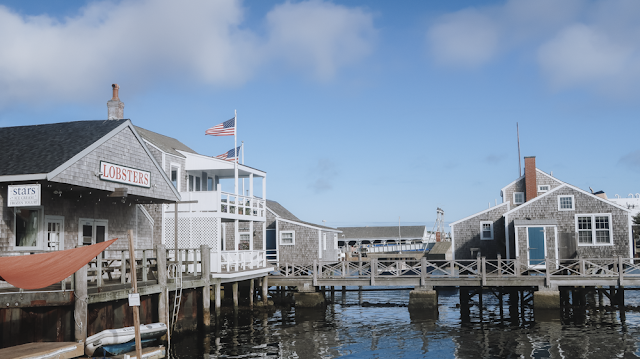 Nantucket is a pricey destination, however, and to be honest, peak-season hotel or AirBnB rates are usually out of our price range. Because we were visiting the Cape off-season this year, we decided to research hotel rates on the island and see if we would be able to actually spend a night or two on one of our favorite destinations of all time. We were so happy to have found a lovely little inn that was walkable to town and some beaches, and we had a glorious two days on Nantucket. If you take the Hyline or Freedom ferries to the island, this is where you dock. Our master bathroom is so close to being done, even though I feel like I've been saying that for months (probably because I have). We had been making really good time on this room, and toward the end, we just ran into delay after delay. We originally thought we could be done by mid-July. Then it was the end of August, and then Labor Day (which has now officially come and gone), and now, let's say we're shooting for beginning of October? I'm honestly not sure. But we're so stinkin' close that I feel like it could be any day now that we finally move all our stuff in. We've been talking about this bathroom since, well, we knew we'd get married, before any vows were exchanged. We previously lived in pretty small apartments before buying this house, which subsequently always had pretty small bathrooms where we'd bump into each other constantly. This eventually led to us just not getting ready at the same time and having to work around each other's schedules. Every year we were together, we both would daydream about our ideal bathroom in our house someday. 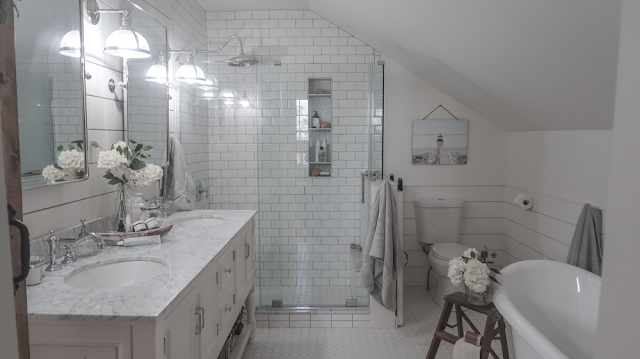 Wish lists would vary, but typically had double sinks, a free-standing tub, glass shower and space to feel relaxed while we could both get ready at the same time. To be able to say that we made it happen doesn't even seem real. So let's rewind back to the start. Rather than proving long, lengthly explanations of everything, I'm going to do my best to nutshell-it since we pretty much do the same things in every room when we gut. So far I've recapped our PEI and Nova Scotia experiences, and the last leg of our journey back home was two glorious days in Kennebunkport. When I last left you, we were leaving PEI after a glorious four days, and headed for Cape Breton, Nova Scotia. From PEI, it was a 7-hour drive, and we planned to camp for two nights at Hideaway Campground. One thing I will admit is that the months leading up to our trip, I was anxious about our destination of choice, which was way at the northern top of Cape Breton. 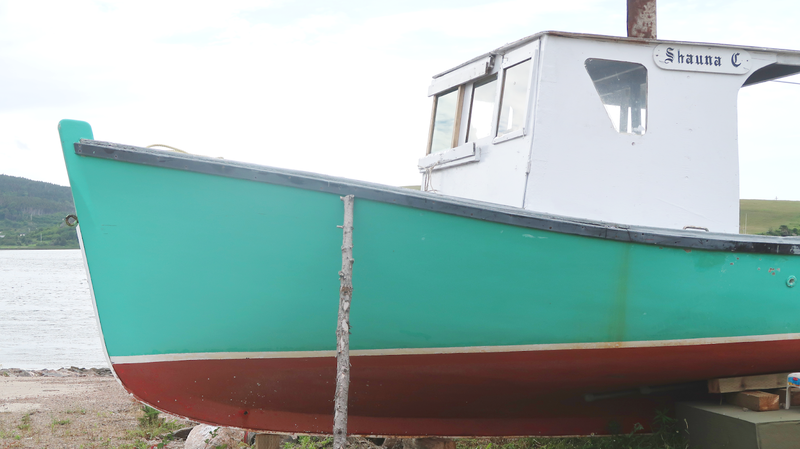 There's so much to see and do in Nova Scotia, and I wondered if doing Cape Breton for a night, and other popular destinations like Luenburg or Peggy's Cove was worth the drive for another night. But we decided to just park ourselves in Cape Breton for both nights, and I'm so glad we did. First day of vacay! Bright eyed, and ready to do all the things. 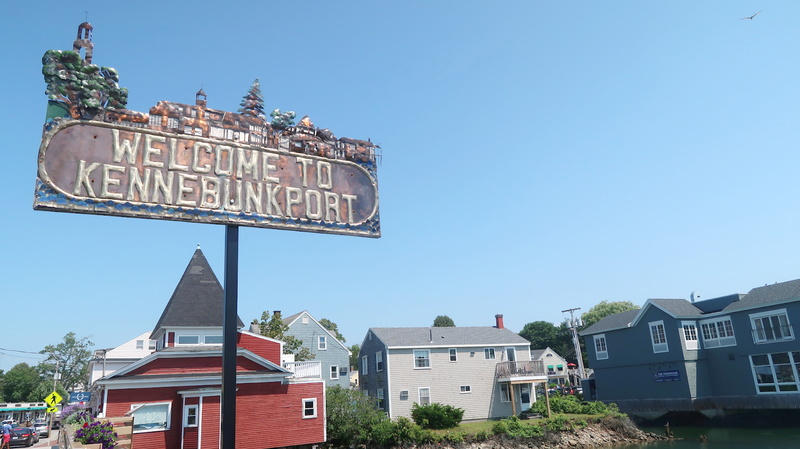 We're back from our East Coast adventure through Maine and the Canadian Maritimes, and oh my goodness, my head is still in the clouds from a pretty magical trip that seemed to fly by in seconds, despite it being the longest vacation we've ever taken. It was a lot - a lot - of driving, but the sights we got to see and the experiences we were able to share together were spectacular, and I feel so grateful for having been able to make this adventure happen. Three years ago, we closed on this house, moved in a week later, and you pretty much know the rest. We had always known that we had interest in home renovations, but one of this magnitude, not so much. Neither of us had any experience or background in construction or home repair, but we jumped in feet first, and got soaking wet. There are times I look back and think that we must have been crazy. But mostly, I'm just so happy we took the risk. Not that three years is a long time, but these were the years we tackled our biggest projects, and learned so much. We get asked a lot of questions about our experience with the house, what we're doing to it, and what we've learned, and we decided to recap it for you today. Emma, the day after we got her. Meet the newest addition to our wolf pack, Emma! Emma is now a four and a half month old Corgi that has been a part of our family for about seven weeks now. A lot of our friends and family have asked us a few questions about her, including the most popular question: Why did we get a Corgi? So I thought I'd share a little about our experience welcoming her into our home. Josh's Christmas gift to me this year (or, last year, I guess?) was a clay date at Farmhouse Pottery. For a few years now, I've drooled over their pieces on Instagram after seeing them featured in Floret Flower's feed. 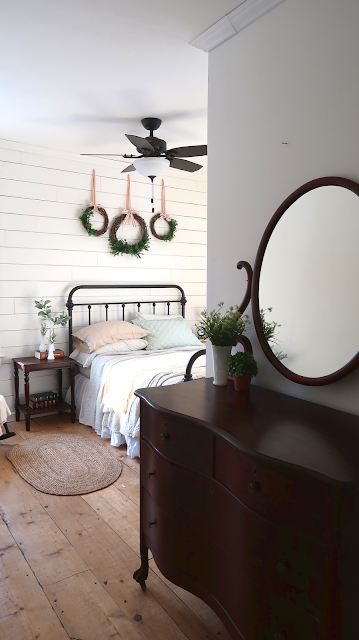 I was initially drawn to their aesthetic, which is clean and simple, rooted in a farmhouse (obvi) lifestyle. When I read more about them, I came to really appreciate their dedication to quality, and the process behind making each piece in their Woodstock, VT studio. And also, their commitment to community. 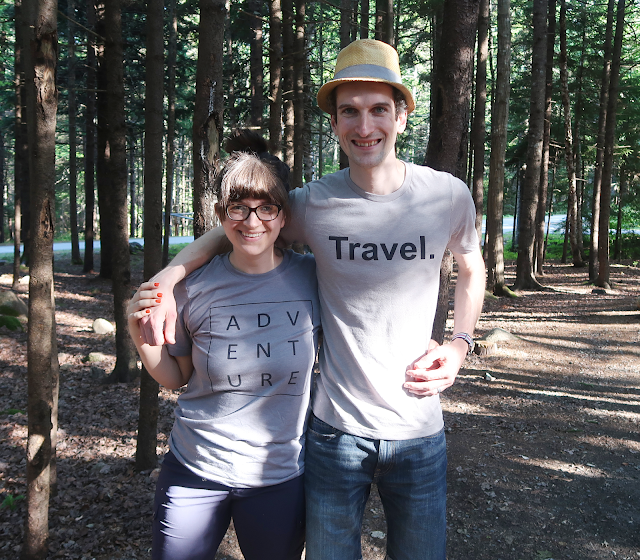 We met James, the husband of the husband-and-wife team at the Country Living Fair in Rhinebeck last year, and after a few minutes of chatting with James, Josh kind of fell in love with their company, too. Long story short, Josh got us a workshop date in their studio, and I'm here to recap it today, along with the rest of our trip.